Modern, attractive menu PSD template for your burger, grill restaurant. Burger Menu Template PSD is a menu PSD template for your burger restaurant, grill restaurant, or fast food restaurant or bar. Clean, attractive design. Get the customers attention and increse your sales. High Definition, 300 dpi. CMYK Colors. Ready to print. Easy Customization. The PSD Template included all photos showed. All picture are HD PNG files. Text fonts included too. Download now Burger Fast Food Menu Template PSD. Easy customization and ready to print. This file is a exclusive template of Graphicfy. 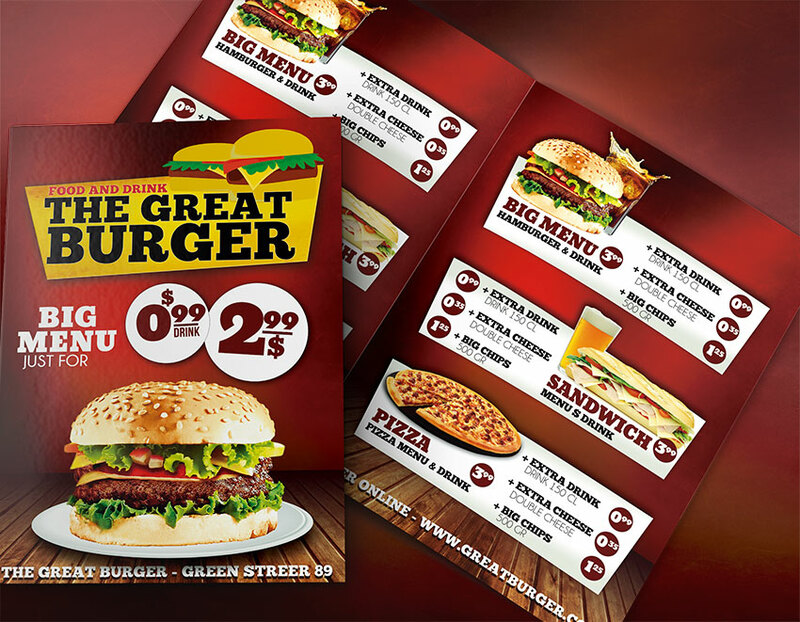 You can download this burger menu template and all the Graphicfy files for free. Become a member here and get access to all our files. All the text fonts are completely free to download and use. You will find all the free fonts inside of the file.